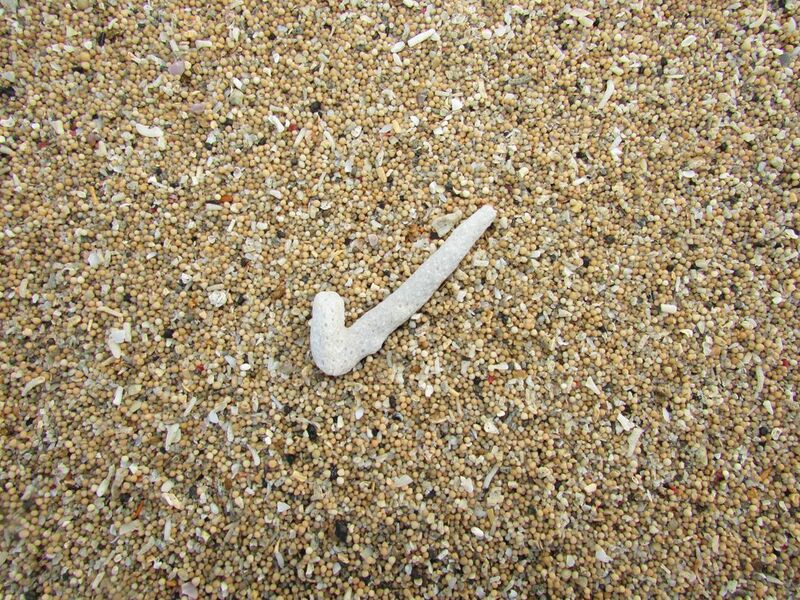 A coral check mark on the beach. When walking on the beach I often look for unique pieces of nature. This beautiful piece of coral said to me everything is OK. Date Uploaded: Nov. 30, 2015, 10:21 p.m.